Season starts in March and goes through August. Hours will be from 7:00 am straight through until 12:00 pm. Swimming season begins in March and will go through the beginning of September. Registering your child early will ensure availability for your family. 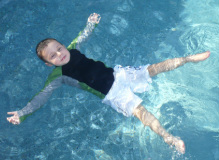 Please contact Therace Pollard directly at t.pollard@infantswim.com for lesson availability or see the “contact” tab. Sibling discount – When you sign up two or more children for the same swim session, you will receive $10.00 off each child each week of lessons. Group discounts – Discounts are given for groups of students that register together. Please contact me for further information. Referrals – To thank the many families that continue to refer me I offer a referral discount. 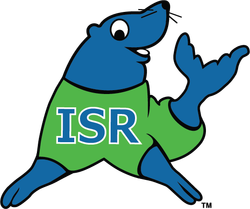 If you refer someone to ISR and they sign up with me, you will receive a one time $15.00 credit toward your weekly fee. This discount will be applied for each child referred to me. Infant Swimming Resource, LLC (ISR) complies with all federal and state laws and regulations and does not unlawfully discriminate on the basis of race, color, national origin, gender, age, religion, or disability. It is the policy of ISR to provide reasonable accommodations to its disabled applicants and students, with the provision of appropriate documentation of the need for the accommodation.